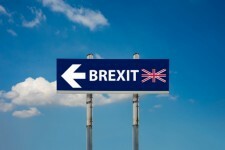 But prices recouped some losses on Monday (June 27) as analysts said that Britain’s EU exit would have very little impact on physical oil trading. “If we assume a 2 percent drop in UK GDP in response to the exit vote, which is on the high end of our economists’ estimates, then UK oil demand would likely be reduced by 1 percent or 16,000 barrels per day, which is a 0.016 percent hit to global demand. This is extremely small on any measure,” said Goldman Sachs. UK’s Chancellor of the Exchequer, George Osborne, said Brexit was likely to lead to further volatility on financial markets but added that the world’s fifth biggest economy would cope with the challenge ahead. Of more concern to the market is a building refined products glut. Chinese refiners have responded to the Asian oil products glut by exporting record amounts of petrol and diesel fuel into regional markets, eroding refinery profit margins and swelling storage. As a result, analysts said there is a possibility that refiners dial back production and curb orders for their main feedstock crude oil, potentially weighing on prices. Morgan Stanley also said that the larger political and policy repercussions of a Brexit cannot be ignored. “Europe is a big trading partner for the United States and China, which could lead to knock on global effects, and a stronger dollar is generally unhelpful for demand. In a high stress case, our economists see global GDP slowing to 2.7 percent in 2017 – nearly a global recession,”Morgan Stanley said.